Low Maintenance Aquarium Plants “Triangle Moss or Vesicularia Sp. 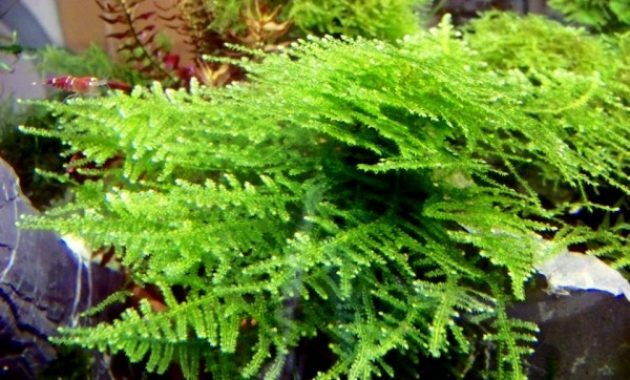 Filicinum” – San Jiao Moss or commonly known as “Triangle Moss” is an aquatic moss plant from genus vesicularia. This live aquarium plant has a slantingly standing upright dense shoots and ramify at regular interval. This plant first described by Bioplast Company from Singapore in 2004. The Trade name of this moss plant probably refers to the triangular outlines of the ramified shoots. The Triangle Moss ramified look more or less the same with other mosses from genus Vesicularia. The slightly upturned shoot tips of this plant look like Vesicularia Reticulata or Called “Erect Moss.” And it leaflets has shaped roundish to oval with an acute tip, and relatively wide leaf cells quite look as Vesicularia Montagnei. Triangle Moss origin from South East Asia. It can live in with low light to highlighting. It’s easy to carrying, and it can live in low CO2. This moss plant can live in a tank with maximal temperature 29 Degree Celcius. However, it will grow optimally in 22-degree Celsius. It’s frequently available commercially. You can buy it on amazon, CLICK HERE. 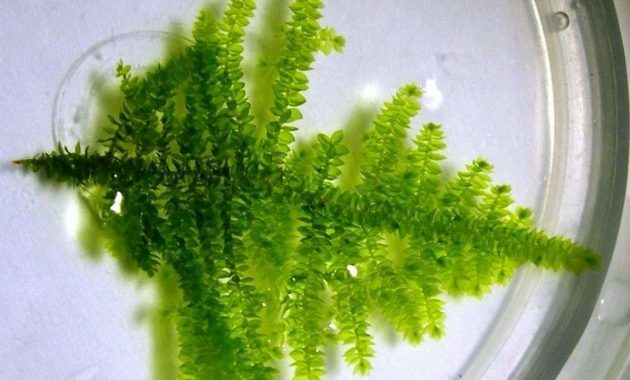 In Germany, that’s aquatic moss plant has been found in the trade with the names “Vesicularia Sp. Filicinum” or “Cratonneuron Filicinum.” But, it not sure correctly because species of the genus Cratoneuron has pronounced leaf midrib, whereas the Triangle Moss has double leaf and inconspicuous. Such as other moss species, for cultivating this moss just dividing or cutting it into each section. Then, sticking it onto hardscape with thread, glue or fishing line. It will look beautiful when planting on rocks or driftwoods. It can planted in emerged, and it will grow quickly than planted in a tank. In submerged, it will grow fastest as long as that’s plant planted in the tank with high light, CO2 and given fertilizer. 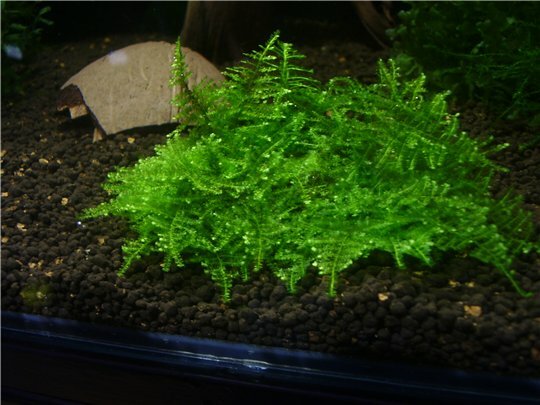 That’s one of Low Maintenance Aquarium Plants “Triangle Moss”, please see other related about easy aquarium plants here.